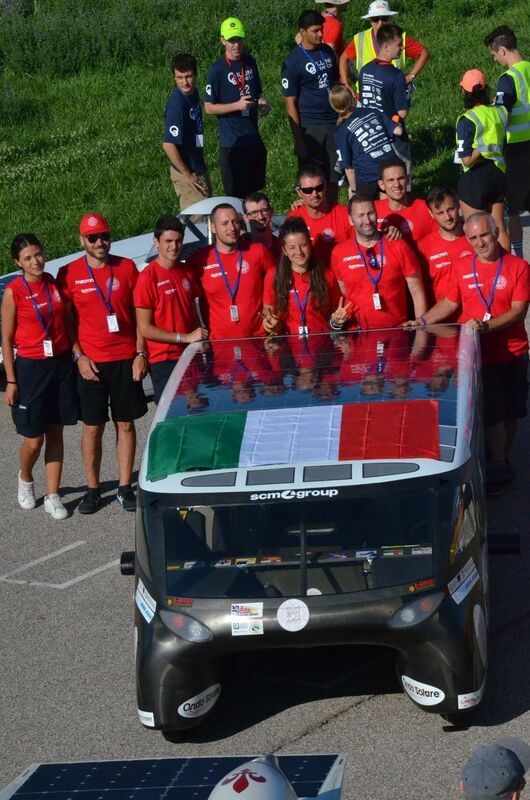 After a podium finish at the Formula Sun Grand Prix, second only to the University of Minnesota Team, and out of a total of 11 qualifiers, Solar Wave with Emilia 4 is on its way to Omaha, Nebraska. This is where the first leg of the American Solar Challenge will leave from, heading towards Gering. Covering over 3500 km, along the famous Oregon Trail, the crew will travel at an average speed of 60 km/h, with top speeds reaching 110 km/h. This vehicle weighs just 130 kg, excluding the 67 kg, 16 kWh battery packs produced thanks to a series of patents, which enable wireless connection to the 1800 battery cells, each monitored to avoid overheating. Resistance, efficiency and high technology: with these strengths the "Made in Italy" solar car is getting ready for its first big adventure.